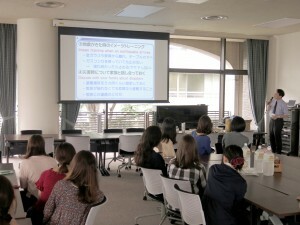 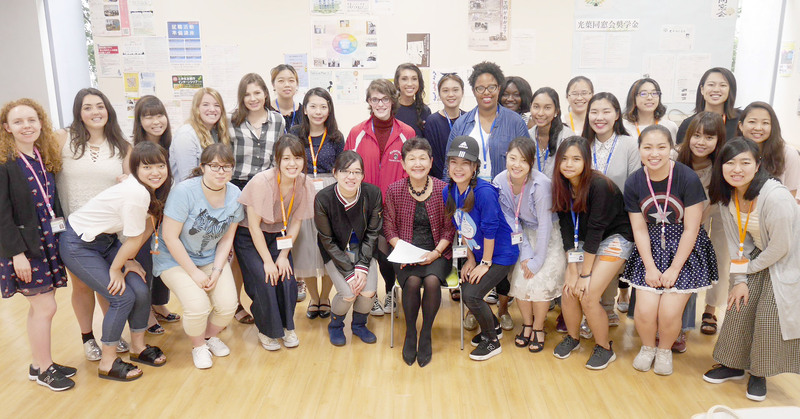 This morning Chancellor Bando gave a lecture on women in Japanese Society, informing the students of the continual shifts in and long-fought struggle for gender equality in the family and workplace. 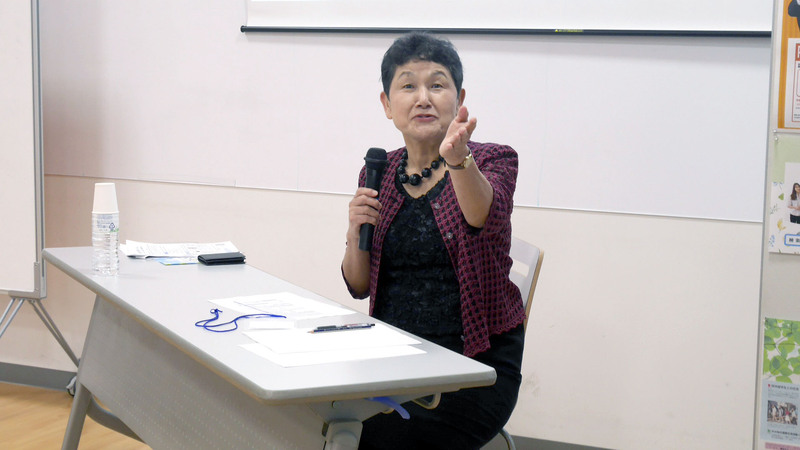 Most powerfully, she concluded with anecdotes of her personal difficulties as the first woman to work in the Prime Minister’s office in Japan whilst raising two children. After Chancellor Bando gave her remarks on legislative measures that could be taken to further support women in maintaining a career and having a family, the floor was opened up for questions. 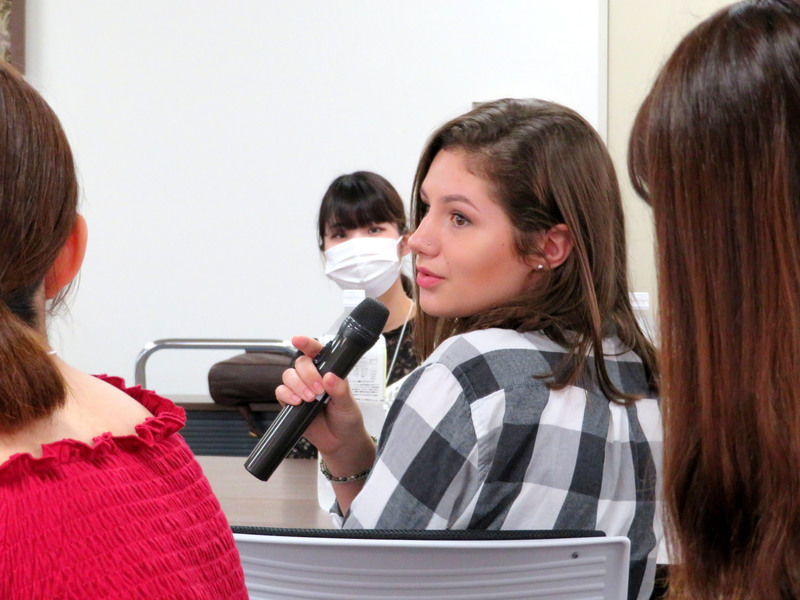 Each of the students shared an evaluation of the specific struggles faced by women in their home countries with respect to childcare and career, whilst also sharing their personal aspirations with the Chancellor. We all gathered for a group photograph before departing for a number of different lunchtime discussions. 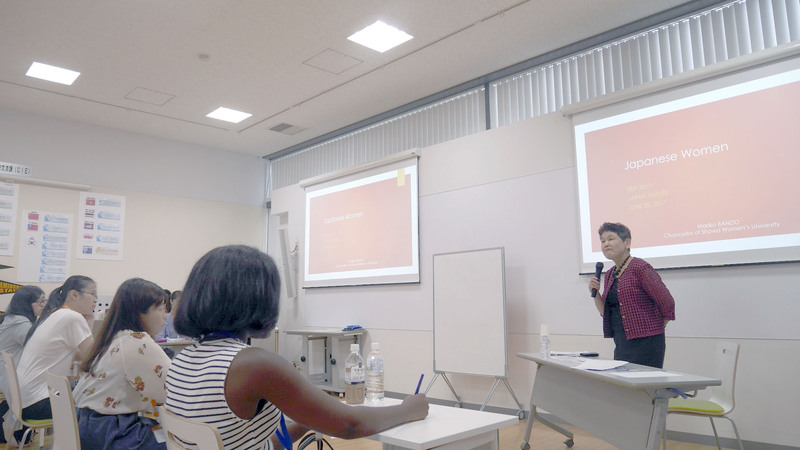 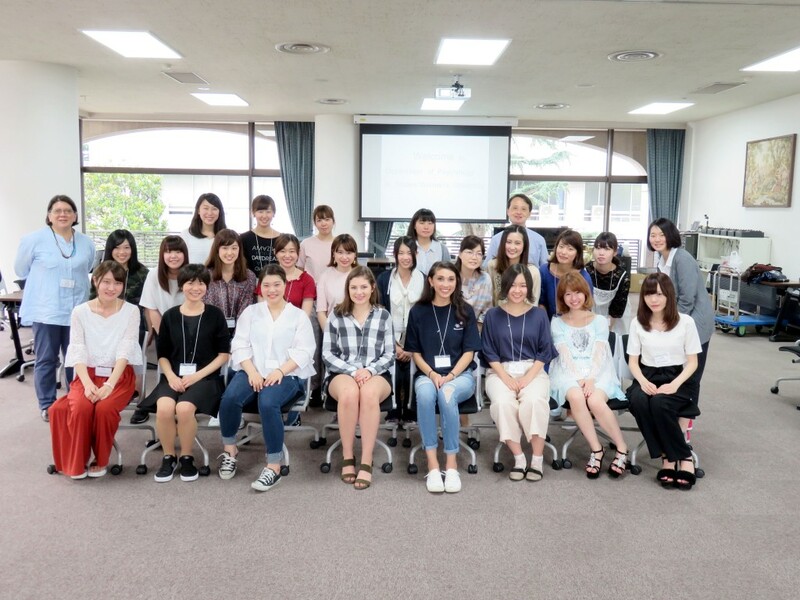 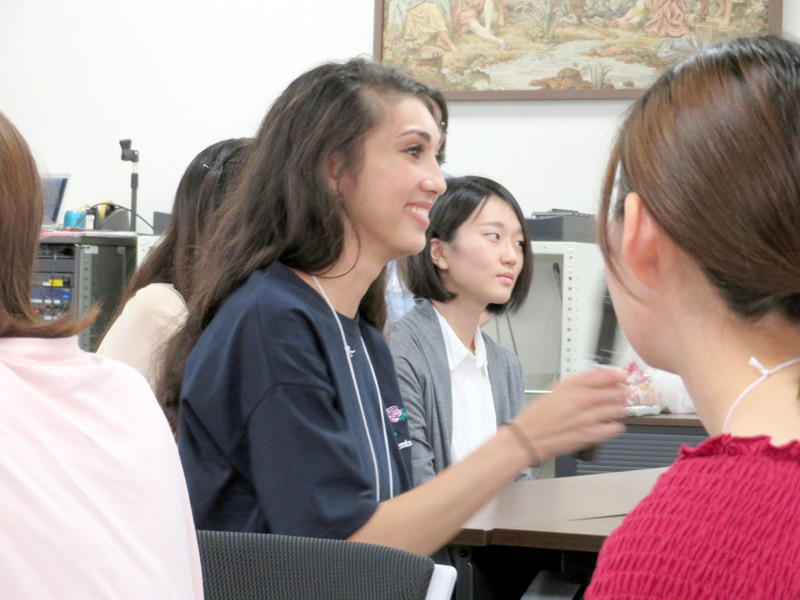 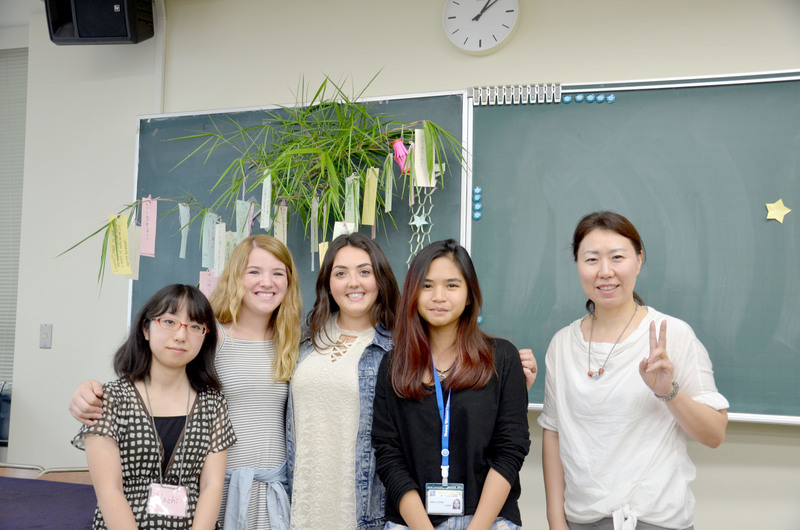 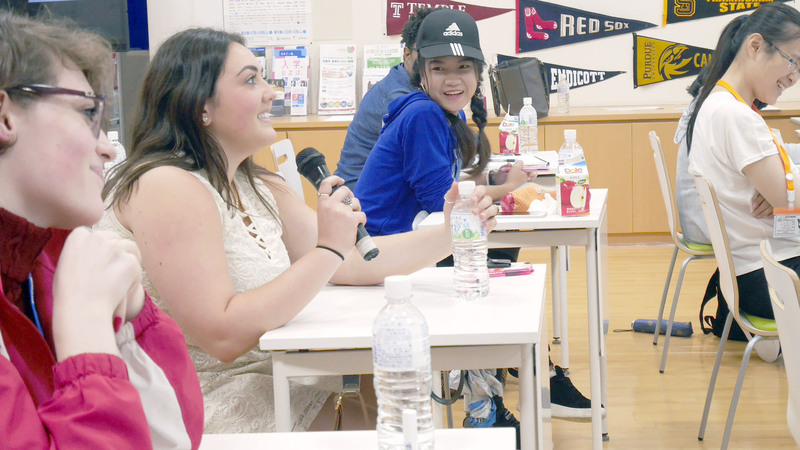 Participants who major in Psychology and Design were invited to talks and project presentations by the relevant departments of Showa University to meet a greater number of the student body. 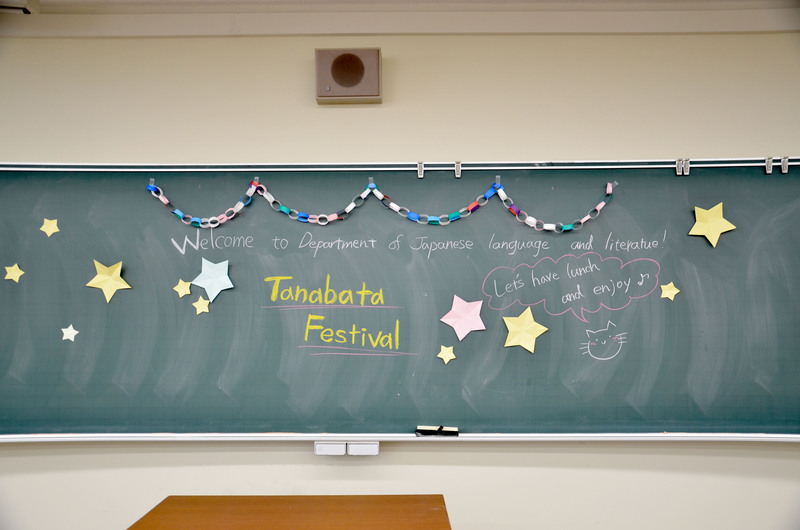 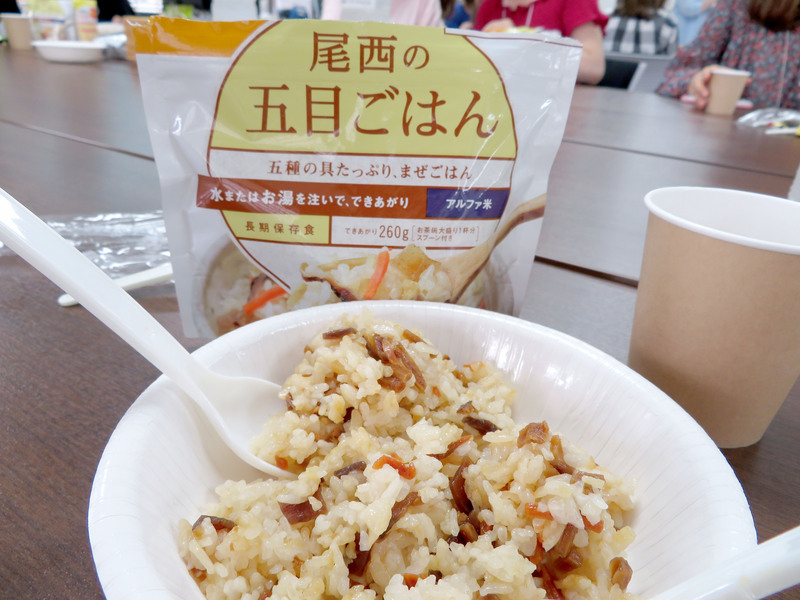 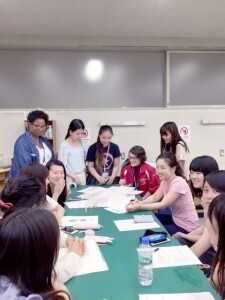 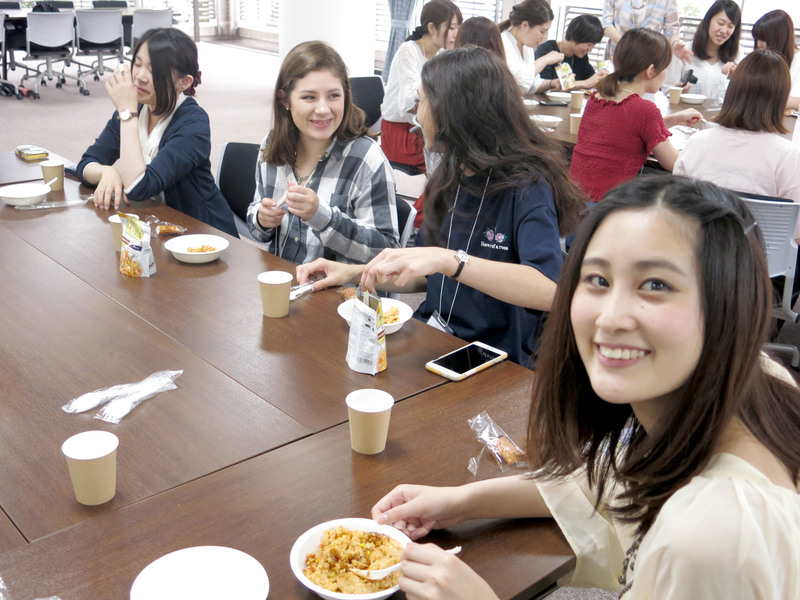 The other participants were treated to a buffet-style lunch by the Department for Japanese Language and Literature. 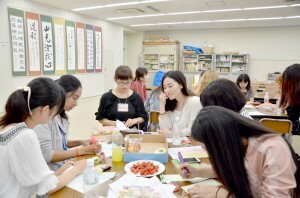 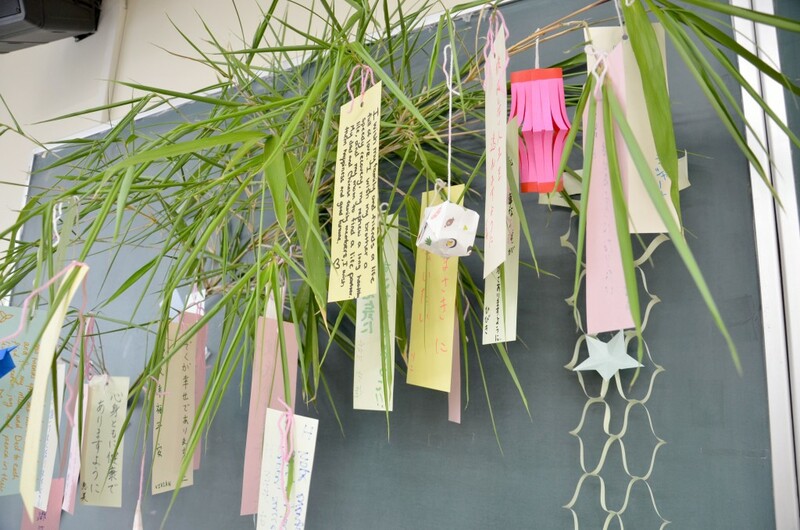 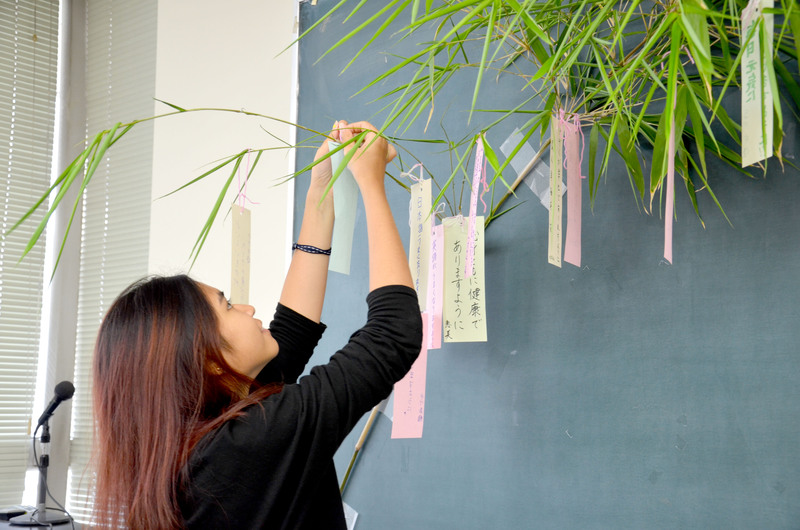 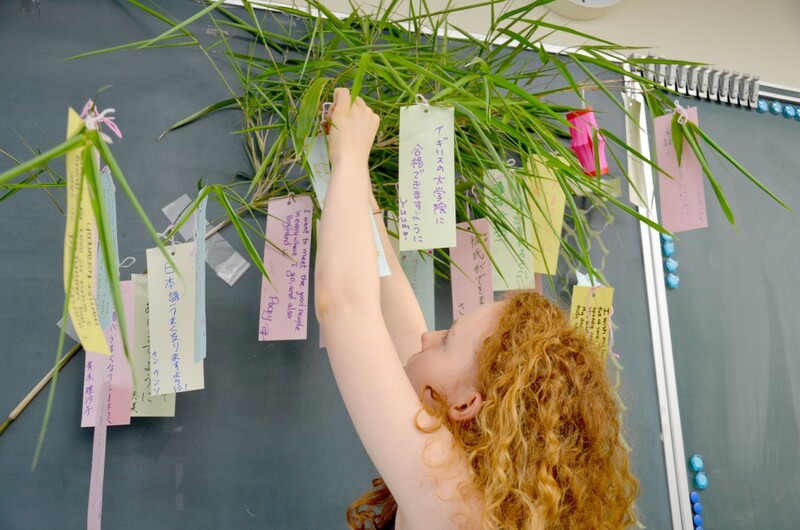 Food was followed by the writing and tying of wishes to trees as traditional during the upcoming Tanabata festival, as well as making origami. 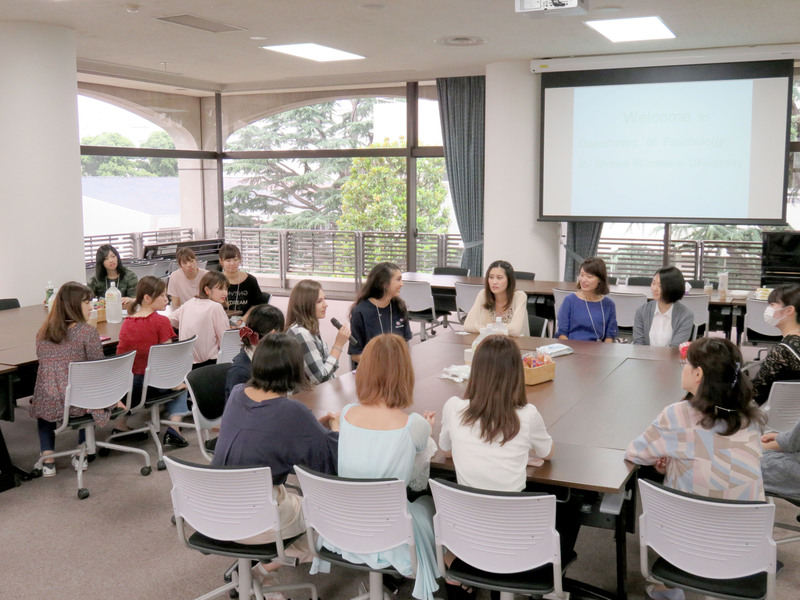 Congenial conversation was to be had with the Showa students from the department, with the international participants continuing discussion of Chancellor Bando’s lecture on women and education. 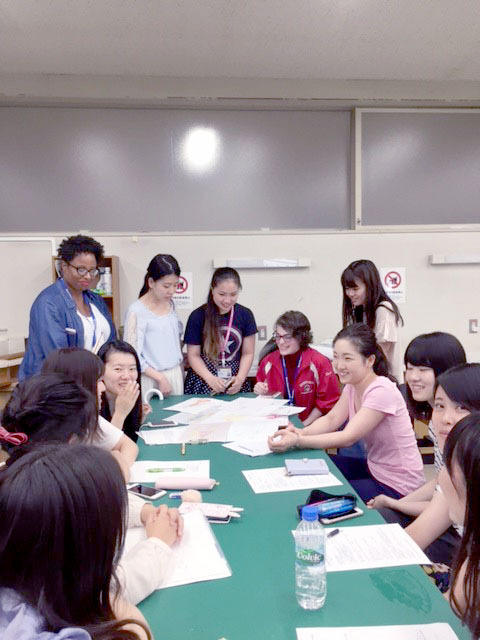 For the afternoon, the Cross-Cultural Workshop reconvened to dive deeper into the work of the cultural theorists Barna and Hofstede, with activities focused on ethnocentrism and overcoming the “stumbling blocks” to intercultural communication.